AT4532 is easy to set up and reconfigure from the front panel. AT4532 has bi-directional communication via RS-232C, which enables control from a host computer. 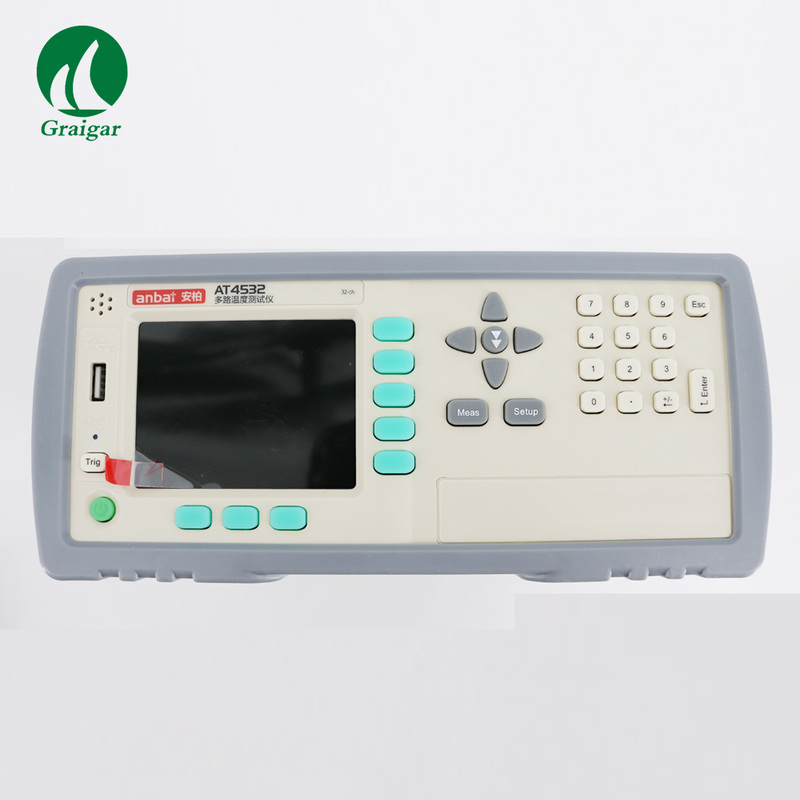 The AT4532 offer easy portability along with applent\\\\\\\'s built-in signal conditioning and Universal Input Module, at a price to fit your budget. AT4532 is tested to stringent shock and vibration standards. AT4532 sturdy metal chassis effectively shields against electromagnetic interference, maintaining high measurement accuracy on low level signals. The analog circuitry is also isolated from the digital circuitry. -TFT True Color LCD Display. -Apply to home appliance,motors,heating appliance,temperature controller,transformer,oven,thermal protector,power supply,lighting,electric power,LED and so on.